YSR Congress president Y.S. Jaganmohan Reddy is set to meet Tamil Nadu Chief Minister J. Jayalalithaa in Chennai on Tuesday. Jagan, who is on a whirlwind tour of the country to convince other parties for a united Andhra Pradesh, is on a one-day visit to Chennai. He is hell bent upon preventing the bifurcation of bill in Parliament which is aimed at creating Telengana, a separate state. He is expected to impress upon Jayalalithaa for the need of a united Andhra Pradesh. Though Jayalalithaa did not react to the creation of Telengana in the recent past, she had indeed opposed the move to bifurcate Andhra Pradesh few years back. When she was in opposition four years back in 2009, Jayalalithaa in a strongly worded statement had opposed the creation of Telengana. 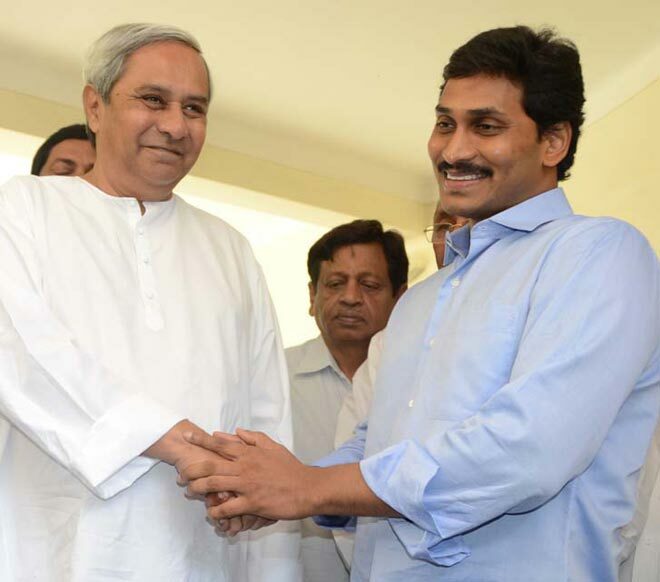 Jagan is also likely to meet the DMK president M Karunanidhi. Though officially DMK sources refuse to confirm any appointment their leader had given to Jagan, sources say Jagan will meet, if not Karunanidhi , then at least the second in command in the party M.K. Stalin. Jagan had already met Karunanidhi's daughter and Rajya Sabha member Kanimozhi few weeks back in New Delhi. Meanwhile, Jagan's supporters have made massive arrangements for his visit to Chennai. Over 500 flexi board cut outs and banners were erected from his brother's residence in Poes Garden to the airport as a part of their grand reception plans.